Trade fair in Spain? This must be Matelec! Urbótica: home automation (Domótica), building automation (Inmótica), and smart cities (Smart Cities). 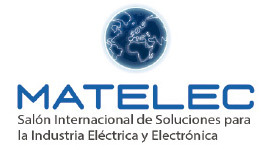 Due to such wide thematic programme, Matelec fair is one of the biggest events in southern Europe for many industries. During the fair, products and services are presented to visitors, and it is a great place for establishing trade relations.